Sometimes you find yourself daydreaming when you’re at work because you’d rather be doing something else. You feel guilty (or at least afraid you’re going to get caught) because you know you’re supposed to be working. Sometimes you have that “I Don’t Wanna Go to Work” song running through your head in a loop. I’m not going to give you advice on how to focus better. I’m going to tell you how to daydream better. The answer is to start a side business of your own. This means that at least when your mind wanders, it will wander someplace productive – someplace that will help you out both on the job and off. 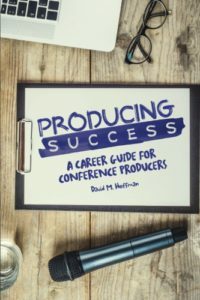 I wrote Producing Success: A Career Guide for Conference Producers to help conference producers take control of their careers within the confines of their job roles. But there is a world of opportunity out there if you’re looking to expand your job skills beyond your current role. Here are five reasons you should start a side business in 2018. The company you work for has already gone through the trial and error that is so valuable in building a business – that’s why they’re able to hire full time staff. In addition, scaling up requires a degree of uniformity so that management can oversee a large number of concurrent, interactive systems. This constrains your ability to experiment with different processes because your activities have repercussions throughout the company. A lack of flexibility is the price of stability. Running a business on the side gives you the opportunity to experience the unmitigated consequences of your decisions directly. You will make big decisions that may have a significant impact in the direction of the business. You will recognize the myriad of trifles that have been effectively weeded out of your full-time job’s process by now. There are lots of books and courses available if you want to learn how a business runs but everyone knows that it’s hands on experience that counts. In writing Producing Success, I not only achieved my goal of being a published author, but I also gained experience with e-commerce, fulfillment, marketing, design, branding, and other business processes. When you start your business, you will get a chance to learn about manufacturing, negotiating, marketing, or design. If it’s a side business, you can focus on whatever area you want to learn more about. Your professional development becomes a goal as much as, if not more than, selling the product is. 3. Reignite your passion by self-directing your energy. Part of the reason work is often boring or frustrating is that we don’t get to define our own goals, our company does. If we have our own business on the side, we can build our own mini-goals and multiply the moments of satisfaction we feel over the course of the week. When you build a website to promote your product, you take pride in each aesthetic decision you make. When you handle layout or manage cover design, you find satisfaction in each level of learning. In an established company, it’s simply not resource efficient for the writer to learn how to manage marketing software on the company dime if there is a full-time marketing expert who can handle it, but with your own company, you can dive in to any learning opportunities that inspire you. By setting your own goals, you create a far greater concentration of successes and meaningful challenges. This creates a positive energy that bleeds over to other elements of life. Hiring vendors, dealing with customer service, all give you first hand experience as to what your boss experiences in dealing with you. The lessons aren’t universal. Reacting to how your boss treats you is typically based on defensiveness. But when you have similar experience to your boss, your reaction becomes more measured – you become empathetic to his or her goals and expectations. This doesn’t mean you’re going to agree with every criticism, but you will better be able to accept responsibility when you have your own sense of expectations. Well this is the fun part isn’t it? Since this side project of yours is a business, the ultimate goal is to make money. If you’ve built something of value and created an efficient process to do so, making money is the natural result. That gives it an edge that improving your golf swing won’t! And hell, maybe next year, you’ll be seeking out articles on how to quit your job because your side business is thriving. Pick up your copy of Producing Success: A Career Guide for Conference Producers because no matter what career you choose, you are in charge of your own destiny. Subscribe to the Conference Producer’s Podcast – Don’t Produce Events, Produce Success! Visit ForumPlanner.com for more information.